‘Either you’re in the Cloud, moving to the Cloud, or your head’s stuck in the Cloud’ – a client aptly quipped to me when I asked them what their top concern was for 2018. Wise words, I’m sure you’ll agree. For recruiters, consultants, users, and vendors alike the impact of moving from on-premise to cloud computing is unquantifiable, even if the revenue generated by Cloud Provision runs in to the billions of dollars. I won’t add to the infinite comment on Oracle’s changing position on cloud migration. If you’re reading this you’ve most likely heard my line ‘Larry has spoken – and what’s he said this time?’ before, anyway. But, what I will do is agree with Business Insider’s point that simple Cloud revenues aren’t a suitable measure of the Cloud market – the nature of the changing IT landscape is such that, as the linked article highlights, each provider has a different portfolio of products in its Cloud offering – some competing with each other directly, some indirectly, and some not competing with others at all. In the grand scheme of things, this sector within IT is still very much in its infancy, and Oracle’s announcement that twelve new data centre locations are to be added to their Cloud infrastructure offering is a major development. 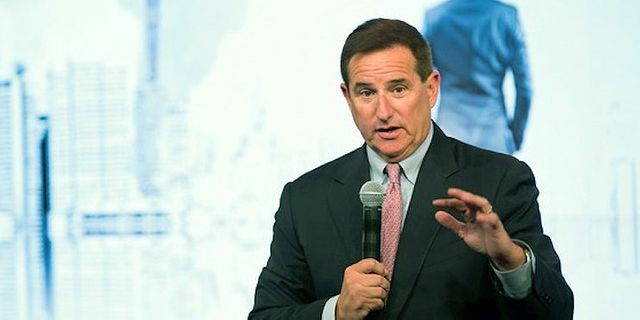 Oracle, which made its name and fortune selling on-premise databases, is in the midst of repositioning itself as a cloud provider. However, the company consistently ranks behind other tech giants — including Amazon Web Services (AWS), Microsoft, Google, and IBM — in terms of market share. Last quarter, Oracle reported $1.5 billion revenue across its cloud products, compared to $1 billion at Google, and $5.1 billion at AWS, though each company includes a different set of product offerings in its cloud calculations, so it's not accurate to directly compare their cloud revenues.